Storage case features a double-zipper closure that provides a wide opening to easily store and access your supplies. Transparent top allows you to easily identify your contents for quick retrieval. Hook-and-loop flap keeps your supplies securely sealed to prevent you from losing anything throughout the year. 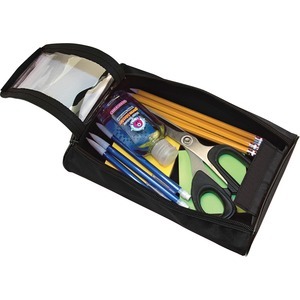 Storage case is perfect for storing pencils, scissors, pens, hand sanitizer, notepads and more.